The new Premier League season starts August 12 and now football fans can watch it like never before with the UK’s first ever dedicated Premier League channel. The way we watch sport is evolving and Sky is leading the way for change with a brand new set of dedicated sports channels on July 18. 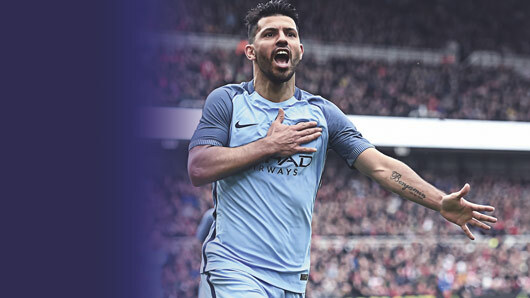 One of the most exciting new additions to the 10 channels is Sky Sports Premier League (Sky channel 402); a channel focussed entirely on everything to do with, you guessed it, the Premier League. What can viewers expect from Sky Sports Premier League? Sports Premier League will be the new home of the top-flight and its heroes, broadcasting 126 live Premier League games as the likes of Paul Pogba, Philippe Coutinho and Harry Kane renew rivalries. Experts, including Gary Neville, Thierry Henry, Jamie Carragher, Jamie Redknapp, will continue to deliver cutting-edge analysis and the hottest topics will be discussed in a new nightly Premier League debate show. You’ll be able to watch live games in Ultra HD with Sky Q – starting with Arsenal’s Friday Night Football opener against Leicester – and follow the action on the move with in-game clips, highlights and key moments in the new-look Sky Sports app.